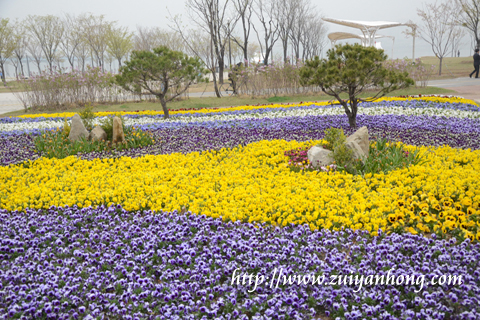 Yeouido, South Korea during spring is truly colorful in April. 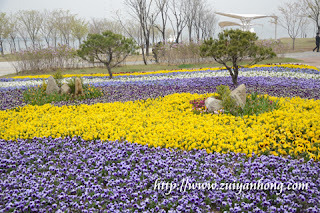 Yeouido is a tiny island along Hangang, Seoul. 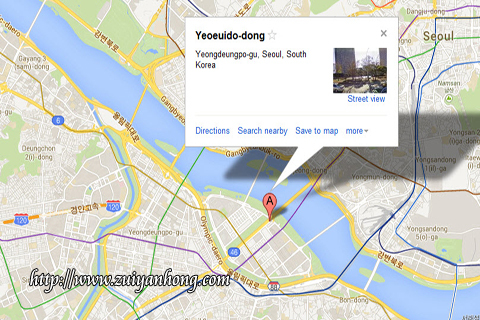 If not observing the map, you won't know Yeouido is an island. 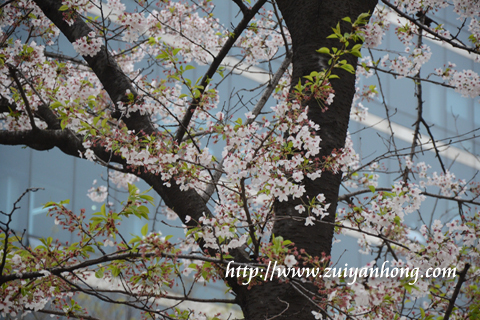 Yeouido is no doubt the most appropriate place for viewing cherry blossom in Seoul. If you have a date with cherry blossom, remember to visit Yeouido in April. Various beautiful flowers bloom during spring in Yeouido. 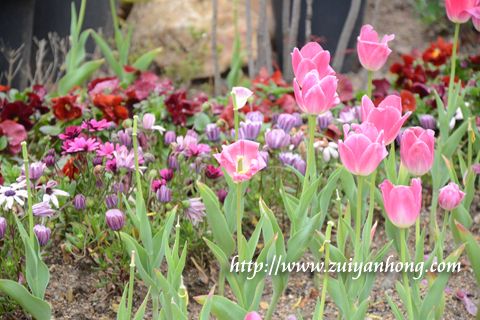 Besides the cherry blossom trees along the road, there are many types of flowers everywhere in Yeouido.